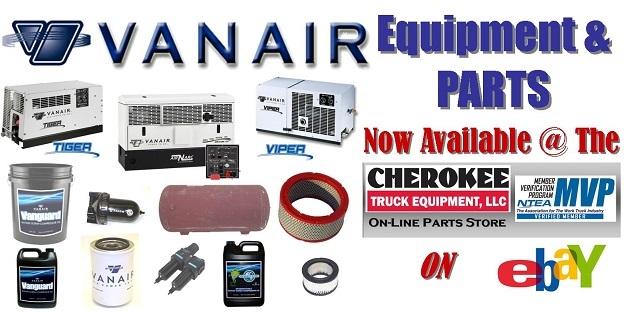 Since 1972, Vanair® Manufacturing, located in Michigan City, Indiana, offers the most comprehensive product line of vehicle-mounted air compressors, generators, welders, hydraulics, chargers/boosters, engine starters and custom products in the world. Elevating the meaning of Mobile Power Solutions through innovative design, training and support, Vanair engineers rugged and dependable products that are used to improve efficiency and productivity worldwide. Vanair has over 70 standard commercial models ranging from 10 to 1500 CFM, available in multiple configurations to meet your needs. Vanair serves customers such as the mechanic and service industry, municipalities, utilities, railroad maintenance, Department of Defense and construction. Vanair® Manufacturing was originally known as Sullair PTO® and started out as a division of Sullair® Corporation, beginning in 1972. Sullair PTO became a division of Sullair when an idea arose whereby the components of a tow behind rotary screw compressor were integrated onto a truck vehicle’s frame and utilized the truck’s own engine to drive the compressor via the power-take-off (PTO). From that idea, a new product and a new industry were born. The product was the vehicle-mounted 185 CFM underdeck rotary screw air compressor. This revolutionary new product eliminated the need for a separate engine driven tow behind compressor – freeing up the vehicle’s hitch, saving weight, increasing valuable bed space, reducing maintenance and insurance costs and increasing mobility. Sullair PTO became Vanair Manufacturing in 1984 and relocated to New Buffalo, Michigan. The company grew, and in 1997, Ralph Kokot purchased Vanair. In 2010, Vanair moved to its new building in Michigan City, Indiana. Vanair continued to grow and expanded its facility to 80,000 square feet. In 2015, Vanair acquired an additional 80,000 square foot manufacturing facility from a private owner, bringing Vanair’s total production and office space to over 160,000 square feet. With over 44 years of experience, Vanair® provides the best-in-class product offerings, installation and service training. With well over 70 standard products, Vanair offers the most comprehensive line of Mobile Power Solutions™ in the industry. Our products include a wide variety of air compressors, generators, welders, battery boosters, battery chargers, and engine starters, providing you with the best products to get your job done efficiently and effectively. Utilizing our experienced personnel and extensive facilities, Vanair is an engineering-driven company, known for its problem solving capabilities and understanding to meet your demands. Whatever your mobile power needs, Vanair has the capabilities and understanding to produce them. Everything Vanair does is bound by one simple goal: TO BE YOUR STRATEGIC RESOURCE MOBILE POWER SOLUTION PROVIDER FOR LIFE, SO YOU CAN PERFORM AT YOUR BEST. Listening to the marketplace, finding solutions to your challenges, providing the products that meet your needs…that is Vanair.